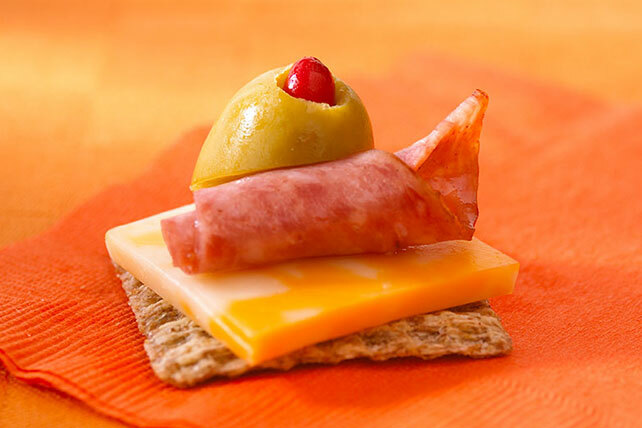 Top crackers with salami, cheese and halved stuffed green olives to make these delicious Deli Tidbits. Omit olive. Top each cracker with 1 small roasted red pepper strip.